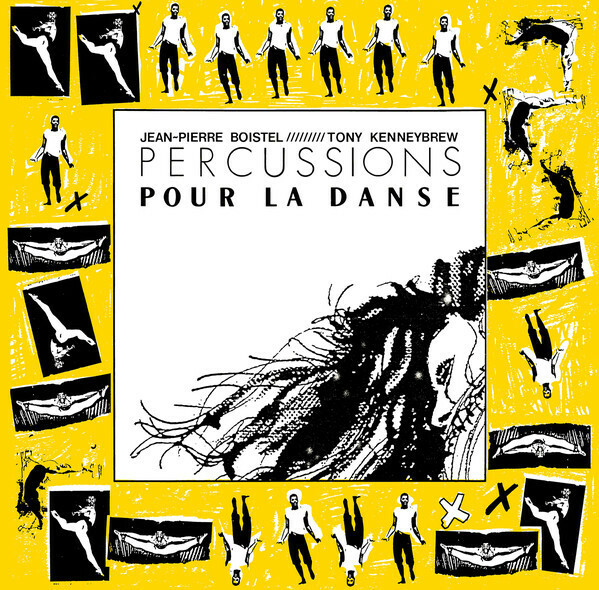 “Percussions Pour La Danse was a collaboration between North American born jazz & contemporary-dance instructor Tony Kenneybrew and French musician Jean-Pierre Boistel. Tony, a Washington native who had studied, taught and danced professionally since the age of 12, found himself in France in the late 80’s. It’s here that he linked up with like-minded musician Jean-Pierre; who had recently returned from a 6-month trip to West Africa. A trip that helped refine his craft that begun in the early 70’s. The music was created for Tony to use when teaching contemporary jazz-dance classes and to accompany live performance, allowing students to “dance slowly, rapidly and change speeds without changing the tempo!”. This work of rhythmic research was based on the “Balance of The Walk”; in 4 times, in 6 times, in 7 times & in 3 times. In order to reach the spatial possibilities he was striving for, Jean-Pierre would also use computer assisted programming to sample and re-play his own instrumentation. This allowed him to lay down the tempo of the track and then play live over the top, which in turn gave him the freedom to add the desired instruments and effects to each song.